Peter and Suzanne had travelled to the Ivory Coast village by dug-out canoe that morning knowing a tiny one-kilo, two-month-old baby girl was waiting. Two weeks earlier the midwife Emma had visited the Anastasis with the baby. 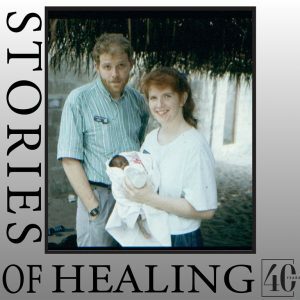 They had been given the opportunity to hold and watch over the baby struggling for life. 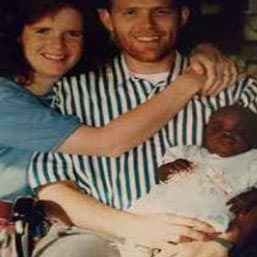 Suzanne had grown up with the dream in her heart to adopt an African child. The couple were unable to have children of their own. They had some big questions. So the return trip in the dug-out canoes included another tiny passenger. She was named Nikola Joy (meaning Overcomer, Victorious). 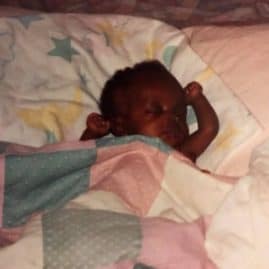 With her new-found parents and a ship-load of mercy, Niki began to thrive and after her first few months, she outgrew her baby bed that was literally made from a shoebox. 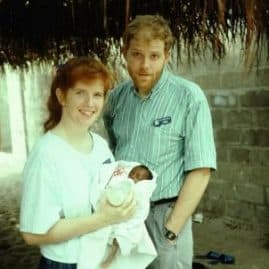 A year later in 1992, Niki was formally adopted as the family moved back to Canada. The Tucker family later grew with the addition of an adopted younger brother. 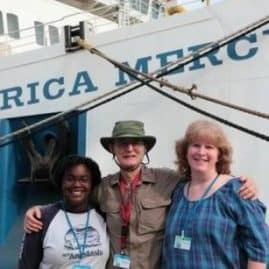 In 2011 Niki and her mom made an epic journey together back to West Africa, They volunteered together on board another Mercy Ship, this time docked in Sierra Leone. Niki says she profoundly connected with her African heritage as she visited the patients in the ship’s wards, played with the children on Deck 7, and attended worship services on board. ‘I may have been born in Africa, but Canada has always been my home. But returning to Africa felt like I’d found my second home,’ reflects Niki. These days 26-year-old Niki is a qualified Health Care Assistant and works as a Community Support person in several group homes in Canada.